Posted by Victoria Bond to the School Guide Blog on 29 February 2016. Created by Carol Vorderman, The Maths Factor promises to make maths fun. Yetis – along with puppy avatars and clumsy ghosts – appear to do the trick for my Year 3 mathematician. I have to say I was little sceptical at first; I’d spent too many hours at the kitchen table trying to make homework projects “fun” and failing miserably. I can hear myself now; half cajoling/half pleading: 'Come on! It will be fun!' and quickly resorting to trading sections of homework for iPad time, and muttering words including “pulling” and “teeth” but not “fun”. It’s welcome help in era when more and more pressure is being put on our children to perform well in maths. The Education Secretary recently called maths “a non-negotiable aspect of a good education” and announced plans to introduce on-screen times tables tests for all 11-year-olds. Gulp. Indeed, as parents, we can feel the pressure too. A new study found that “maths-anxious” parents were often the biggest hinderence to their children’s progress in the subject; holding them back by their own lack of understanding and fear of sums. Read about the study here. The Maths Factor’s videos for parents really help to address this issue: Carol clearly explains topics and new terminology so that parents can have as many maths lightbulb moments as their kids. 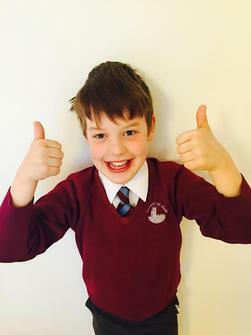 Billy is still 4 years away from the proposed tests but regularly brings times tables homework back from school and we found practising on the website very helpful. Times tables are not Billy’s strongest point and we find we have to overlearn each set for him to really get them. The Maths Factor really did help with this mastery as it offers lots of different ways to learn one set of numbers. Sometimes you click stars to show the multiple of the number; other times you watch a rap. Billy liked the pattern spotting game where he quickly learnt that multiples of 2 always end in 2,4,6, 8 or 0. All the methods felt quite kinesethic, certainly much more so than just sitting writing out tables, and this really suited Billy style of learning. At the time of writing, Billy had completed around three weeks of sessions and, yes, I had definitley seen his confidence grow. He’s not a child who relishes challenges so when offered bronze (easiest), silver and gold level options; he’d always choose bronze. This is his default ‘I’ll ace it’ position. Over time, he’d started to go in at silver and even gold. It was progress in terms of the way he perceived himself as a learner. For me, this was as important that the maths itself. 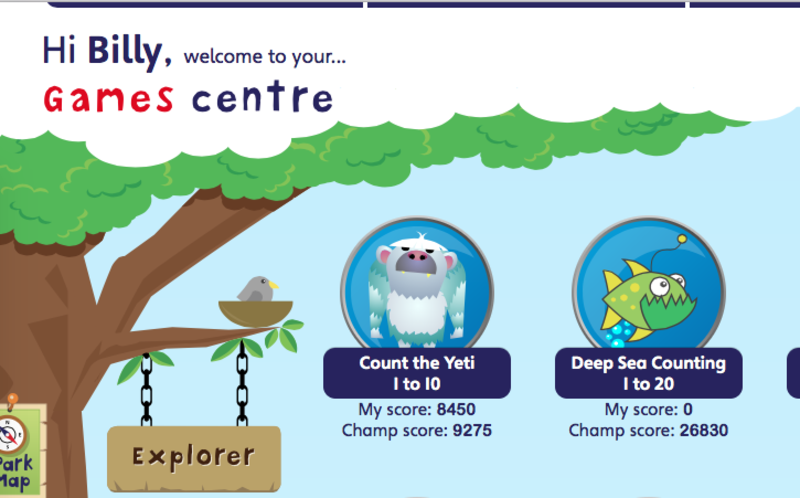 "The site looks great – more Moshi Monsters than maths textbook"
But what about the actual maths? The programme is very simple to sign up to and the settings for the age of your child and their starter Key Stage is clear. There are 32 maths topics in total, from counting and number lines to ratio and proportion, and they are split into three overall levels: Explorer (for Key Stage 1), Adventurer (Lower Key Stage 2) and Pioneer (Upper Key Stage 2). Your child unlocks the next session by completing the one before, or parents can sign in (as you both have a log in) and unlock more challenging parts of the site. You’ll get an email alert if your child tries to jump ahead before they’ve completed modules. It seems a bit heavy-handed at first but it quickly becomes reassuring to know that you are sharing the journey with an expert, and it’s not all down to you to monitor progress and keep your child on track. Learning sessions are divided into a mini video tutorial from Carol – usually no longer than around 2 minutes long; perfect for his primary school attention span – then a warm up or two and finally a practice session. Each one is bright and colourful and your child’s avatar, selected at sign up (Billy chose a dog; don’t ask), journeys with them through a landscape of birds, fish, hedgehogs, ghosts and, Billy’s fave, the yetis. The animation is simple but really nicely done. Definitely more Moshi Monsters than maths text book. My older son, Caleb, who is approaching thirteen and displays a distinct lack of enthusiasm for anything that his little brother says or does, stopped to look over his shoulder on a few occasions, and once even declared that he thought it looked “cool”. High praise from a pre-teen indeed. The site also has an excellent games centre. While all the sessions have a gameification element, the unlocking, shooting, splatting, matching, throwing, popping and clicking of the games are definitely what appealed most to Billy. Key to The Maths Factor is the accumulating of points and the winning of shiny marbles. There was a lot of love for this aspect of the site. Rewards = motivated 8-year-old. I’m sure that’s why the 30-Day Challenge is so popular. These month-long programmes run at selected times across the year and children can win real medals – an actual medal that comes in the post! – depending on how many times across the challenge they’ve used the site. The one thing that he sometimes found challenging was the fact that the keyboard on my laptop has the numbers across the top and not in number section like a calculator, which is common on the majority of PCs. As a lot of the practice sessions are timed, this would have made things easier. Overall, I was really happy with experience and will definitely be signing up for the 30-Day challenge across March. For the first time I heard Billy say things like, “I rushed that; I want to try again,” and “Oh, I didn’t check my work. I’ll do it properly now.” This self-correction was a really positive by-product that I hadn’t expected. Our verdict: "A helpful, really nicely presented and genuinely fun website. It boosted my son's maths confidence – and mine too! Loved it"
• When your child achieves 30 ticks we will send them a 30 Day Challenge medal. Yay!